After adding the possibility of using Google Home via our API and IFTTT, we propose you to be able to control a part of your Legrand / Bticino home automation via Apple’s “Home” app and the HomeKit system with voice control “Hey Siri “. And that is compatible MyHome Play and MyHome BUS! We advise you to test all the elements that you want to control with HomeKit, if some do not work correctly it will be necessary to deselect them. We have simplified the installation process as much as possible but you still have a few clicks to do 😉 So that everything goes well thank you to follow precisely these explanations. 2 – Only for the MyHome BUS system: once MyOmBox 1.1 has been updated, you must go to your administration and then click on “MyHome”> “MyHome gateway” and enter the password of your gateway (default 12345). Click on “Test connection” and then on “Validate this configuration”. If the password does not work, we invite you to contact your installer to help you set up your system. 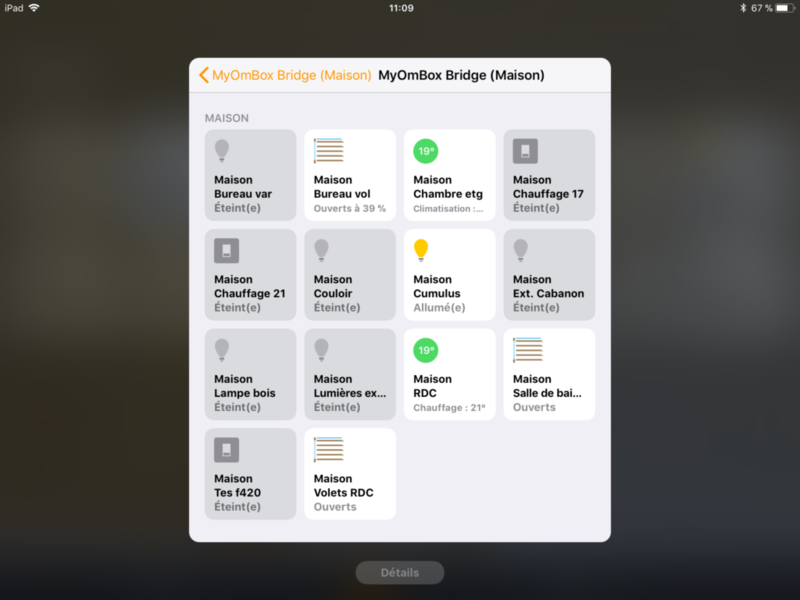 3 – Always on your MyOmBox administration, click in the menu on “Connected objects”> “HomeBridge”. You must first enter a “HomeKit Code” in the form (123-45-678 for example). Then click outside the box to save the code. 4 – Then you must select all the elements that you want to control from your iPhone or iPad and click on “Save changes” at the bottom of the page. You can not with HomeBridge have 2 accessories that have the same name. For example you can not call a light “kitchen” and a shutter “kitchen”, it stops the system! 5 – Once your configuration file has been created (step 4) you can change the HomeBridge status and activate it. You must wait 3 or 4 minutes for the system to load correctly. 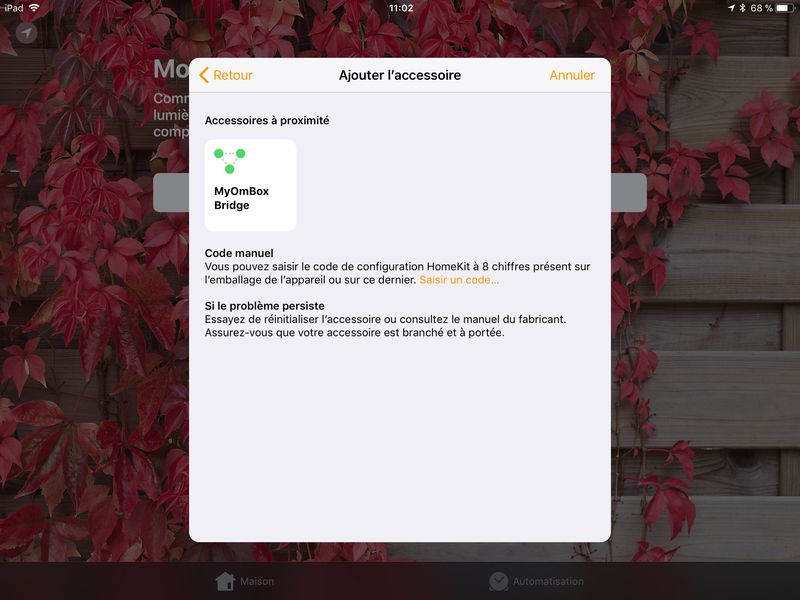 6 – Then you can use your iPad or Apple TV if you want to use it as “Concentrator”, which allows the creation of automation and remote control out of your home, via the application “Home” (see settings of your iPad). You can of course also use an iPhone, to launch the application “Home”. 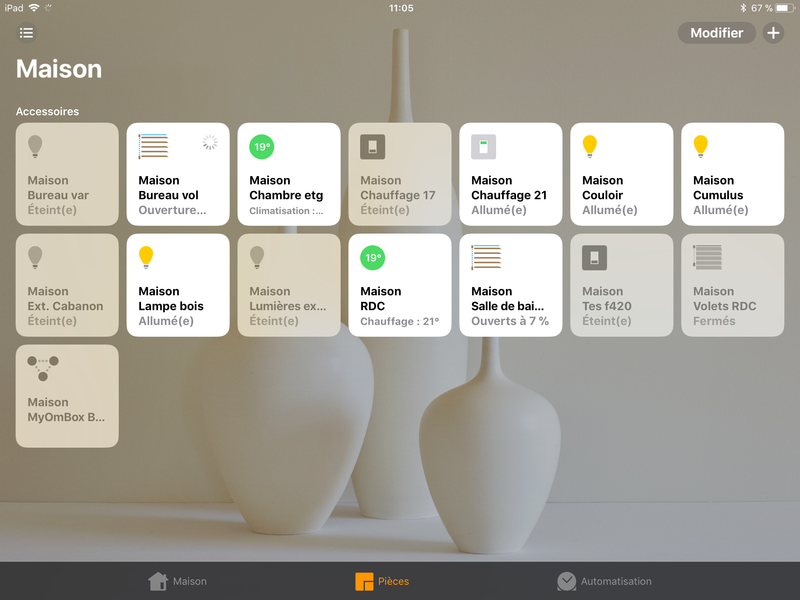 8 – Then you must “Continue adding” and enter the HomeKit code that you have already configured on the MyOmBox interface (step 3). Be patient it may take a few minutes. As previously explained, this compatibility HomeKit is not certified by Apple, so it is possible that you encounter malfunctions. The HomeKit system and the HomeBridge gateway that we use also have certain limitations. It is possible that future IOS updates will make this system unusable, but we will strive to maintain it in partnership with the open source community. We advise you to test all the elements you want to control with HomeKit. If some do not work well you will have to remove them from the HomeBridge interface by unchecking them from the list and saving them at the bottom of the page. It will then be a “restart” HomeBridge. You can not with HomeBridge have 2 accessories that have the same name. For example you can not call a light “Kitchen” and a shutter “Kitchen”, it stops the system! 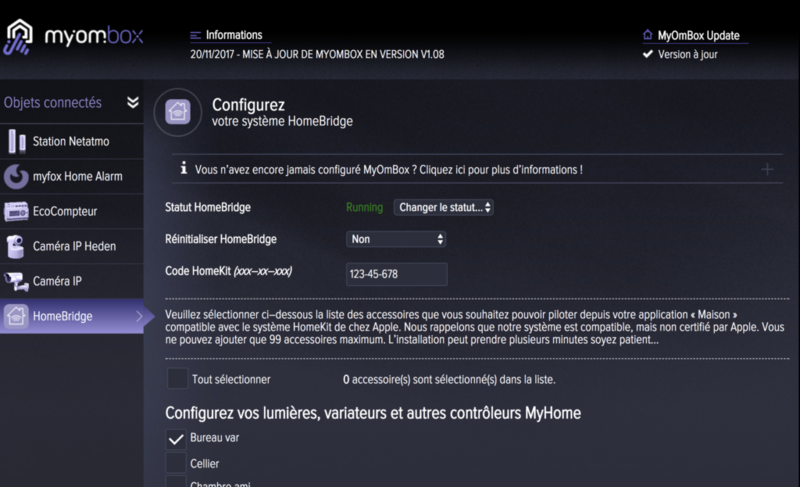 1 – In case of problem, you can try to stop the HomeBridge service, restart your MyOmBox and then restart the HomeBridge service. Home » MyOmBox tutorials » Hey Siri, how to control my MyHome Bus & MyHome Play system with Home app for iPhone / iPad ?